Tips For a speed Recovery Surgery! Every surgery requires some type of recovery, from a couple of days to a week or more. There are medications that will be prescribed for discomfort and prevention of infection and nausea and instructions on medications and vitamins to avoid. After your surgery your surgeon will prescribe antibiotics, anti-nausea, pain medications and more to ensure a healthy, comfortable recovery. To further speed recovery time, the doctors here at Makeover Travel will prescribe Arnica Montana for bruising and swelling. Arnica Montanta is a natural herb grown in the mountain regions and helps reduce bruising and swelling. Bromelain is beneficial in reducing swelling and accelerates the healing process. Bromelain is a natural enzyme extracted from the pineapple and acts much like Advil. 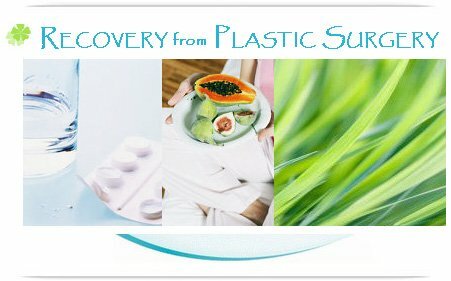 Discontinue any extra vitamin E and Aspirin products as well as any other herbs or diet supplements until 4 weeks following surgery. Hair Styling: You’ll want to schedule your hair appointment just before your surgery. The positioning of your head and neck are stressful especially with hair coloring procedures. You won’t want to be stretching and straining for position just after surgery. Most patients wait 2 – 3 weeks. Meal Planning: Pick up your favorite yogurts, soups and easy to prepare frozen entrees. Yogurt is a healthy nutritional addition when taking antibiotics. Gingerale, Gatorade and juices (non-acidic) are great to have on hand. Grab 4 bags of frozen small peas or corn to use as an ice pack. Overnight care: Plan on having a friend or family member provide transportation and overnight care for your first night. Even if you don't feel any pain or discomfort, you have just had surgery and may be taking medications so it is safer to have someone with you. You will need transportation leaving the surgery center and returning the following day for your first post operative appointment. Makeover Travel offers personal chauffeurs after surgery to pick you up from the clinic to your hotel and personal care-givers who provide experienced overnight care for cosmetic surgery. You can choose to have them stay with you at the clinic or at your hotel. Our personal assistants will arrange all of your post operative needs. Reduce swelling by applying ice or frozen peas for the first 48 hours. In your hotel we will provide you ice. It makes a huge difference with swelling and it actually feels good too. Another two should be used on either side of your face for face-lifting surgery. Keep your head elevated. Keep your head elevated by at least 2 pillows to help decrease swelling. Purchase one of those couch pillows at Targets, they are very comfortable propped up in bed while reading magazines. At night, just use a couple-three pillows under your head and one under your knees for back support. It makes a difference in the morning, your eyes are not as swollen and you don’t have sheet marks on your face for the first half of the day. A recliner is a sure way to elevate your head while lounging throughout the day. Many have found it a good way to sleep to prevent rolling over on their stomachs. Nausea: You have been prescribed the anti-nausea medication, Phenergan. It comes either as a suppository or oral medication. Hopefully, as a suppository because with nausea you may not be able to hold down oral medication. The suppository should stay refrigerated until needed. The suppository will melt and be absorbed quickly, easing your nausea symptoms. If you feel a little queazy, use the suppository, don’t wait. Phenergan does cause drowsiness and will help you relax. Before taking any oral medications you should eat a little something to prevent nausea. Drink plenty of fluids to prevent dehydration. You may find yourself quite thirsty; this is natural and try to drink water, gingerale, gatorade and very low acidic fruit drinks. Expect to look worse before you look better. Swelling and bruising are inevitable, but with proper care will diminish quickly and you will begin to see your results. Take it easy and enjoy some relaxing time. Don’t forget to take your Arnica Montana. Arnica Montana is a natural herb found in the mountain regions and is used to reduce swelling and bruising and speed recovery time. Apply the Arnica Gel & Cream to bruised areas, but not to the suture site itself and be careful not to get it in your eyes. Bromelain is a natural proteolytic enzyme extracted from the root of the pineapple stem and is beneficial in reducing swelling, pain and accelerates the healing process. Bromelain is best taken on an empty stomach as is Arnica. Most common dosage is (1) 500mg pill three times a day for 7 – 10 days following surgery, but always follow the directions on the label or your doctors specific directions. Enjoy your downtime: You may want to pick up some good books you’ve been wanting to read. Some funny videos may be just what the doctor ordered. If you feel like getting out after a couple of days, go. Just take it easy and be careful. The less activity and turning of your neck and head the better you will heal. So, no lifting anything over 5 lbs, no bending over (bend with your knees instead), no exercise other than walking and isometrics, and turn using your waist not your head and neck. What to tell others: If you are uncomfortable telling your friends or co-workers you are having cosmetic surgery, then you may wish to tell them you are taking vacation. No exercise: Do not exercise until your doctor allows it. Exercise will contribute to swelling and compromise your healing and possibly your results. Walking and isometrics are fine, just be smart. You have plenty of time to get in shape after you heal. Generally, after cosmetic surgery you should wait 4 to 6 weeks before resuming exercise programs. Your doctor should be the one to give you the go ahead. No heat: Do not use heating pads, curling irons or blow dryers (unless on cool) for at least 3 months following facial rejuvenation. Your body’s natural response to surgery is to be numb, that’s why there is very little pain with facial plastic surgery. The numbness will wear off in a few weeks, however because you are numb you will not be able to feel heat or a burning sensation. Not only can serious burns occur, but heat may contribute to additional swelling and inflammation. Many burns occur after plastic surgery because not only are you numb, but your skin and tissues are ultra sensitive during the first three months following surgery. Sunscreen: Use extreme caution in the sun. During the first year protect all surgical sites with a physical sun block (SPF 30). Surgical sites will scar with sun exposure; it’s as simple as that. Big floppy hats, scarves, adequate sun block, and avoiding sun exposure are essential contributions to your investment. Good skin care products and treatments are the ingredients to long lasting results. Liposuction, rhinoplasty, chin surgery and arm lifts are a one-day treatment. You enter the clinic in the morning. After the operation, you rest in your room. By the evening, you will be well recovered and able to return to your hotel. Generally, for other types of body surgery, an overnight stay in the clinic will be required. Drains, if you have any, are removed in the days following the operation. Suture stitches are removed approximately ten days after the operation. Showers are permitted. However, it is recommended that you abstain from taking a bath for two weeks. It is recommended that you resume light daily activities as soon as possible. Depending on the extent of the area operated on, between one and six weeks of rest are necessary before more physical activities are resumed. With thigh and buttock lifts in particular, hip movements should minimized for two weeks. You must take this into consideration when arranging any socio-professional activities. After the operation, it is generally recommended that you wear a compressive dressing for several weeks, to promote good scarring. Pressure should be avoided in zones which have been operated on. Your personal bilingual assistant For your Recovery Surgery! Site Map | Our Medical Team | Our Clinics/Hospitals | Tourism in Bolivia | Who are we? | How to schedule your Medical Trip?